The reward of rooting your Samsung phone or flashing its stock ROM and installing a custom one in place can be great as the risk involved. But what you have yet to know is that the process itself is akin to a heart-in-mouth wiping of your phone’s officially sanctioned software, an effect that could render your phone completely useless or bricked. A bricked Samsung, as the name suggests, is as good as a brick or an expensive paperweight. The phone can turn on, but for some reasons, it just can’t go past the Samsung logo and forever gets stuck in a reboot loop. 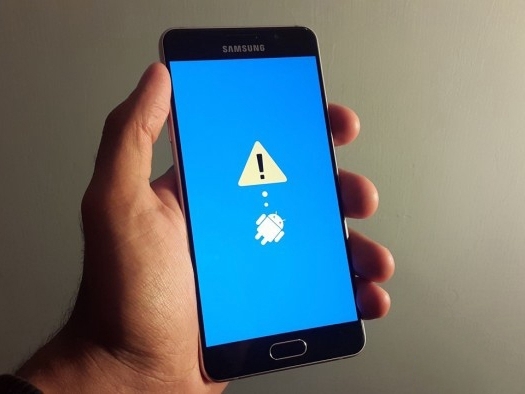 While the severity of the issue tends to vary from phone to phone, most of the time, the symptoms of a bricked phone is the same—reboot loop and automatic switching off of your phone immediately it displays the Samsung logo. In other words, the phone never gets to load the operating system. You simply get to watch the life of your phone flash before its eyes, but there’s nothing you could do to salvage the situation. Even worse is that any attempt to get the phone to work again could result into a dead motherboard at best and complete data loss at worst. Come to think of it, the phone could be replaced, but what of your data—contacts, photos, text messages, notes, apps, bookmarks, calendar, and Whatsapp? Is it possible to unroot your phone and recover your data? Yes, your data can be fully recovered. Read the rest of the article to find out how. How do you tell if Your Samsung Phone is bricked? – The phone boots and just as it’s about to load the operating system, it shuts off. 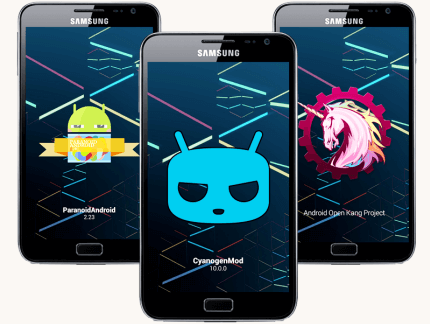 – The phone won’t go past the Samsung logo, but displays a third party root program. 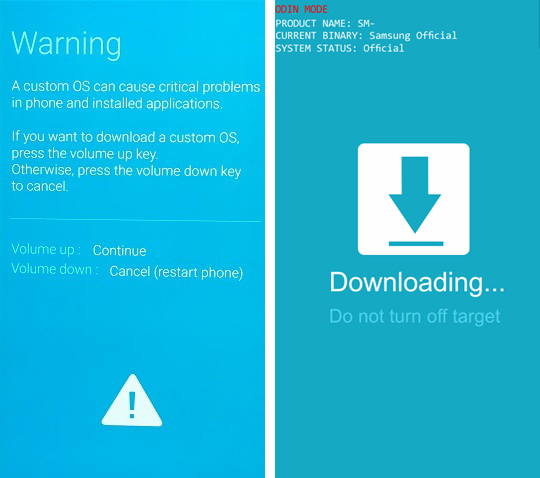 – If the phone can get into download mode, then there’s still hope of you saving it. – The phone vibrates before switching off immediately after loading the Samsung logo. 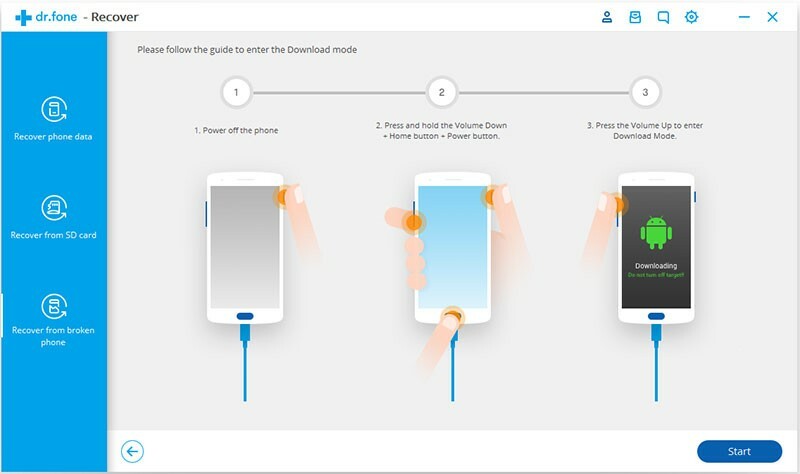 Phone bricking could be due to your phone getting stuck in the download mode, recovery mode, start mode, or black screen, as well as the device experiencing hardware issues. enough while flashing the ROM. To stay safe, be sure to use a reliable flash tool and that the Stock ROM installed is snugly supported by your Samsung device. A good chunk of Samsung users don’t know how to properly root their phone. What they fail to understand is that this simple act of carelessness could lead to a dead phone. 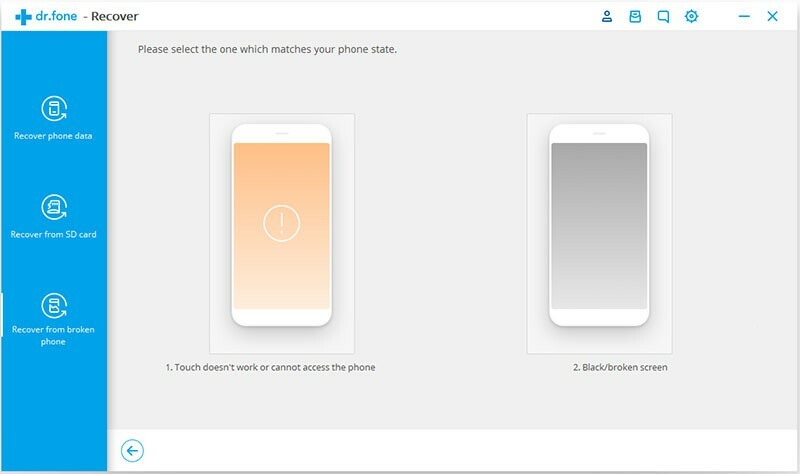 Apps that alter the normal functioning of your phone’s graphics, and RAM, or accelerate the CPU may demand to be granted the root access of your phone. The moment you allow it and end up rebooting the phone, you’re likely to end up with a dead phone. Such phones require to be flashed, which in most cases leads to a brick problem, especially when you carried the operation wrongly. The risk of a Samsung phone getting bricked once rooted increases with every single attempt of a factory reset. It’s therefore not wise to reset the phone in the system setting when it’s still rooted or has custom recovery like TWRP, CTR, CWM and PhilZ. A bricked phone is as useful as a piece of brick or plastic. It cannot be put to any use apart from serving as an expensive paperweight. But make no mistake of passing a phone that’s simply hanging as a bricked phone. Unlike bricking, phone hanging is in most cases caused by a software, app or full storage issue. Phone bricking on the other hand could be as a result of phone rooting, which may in turn affect an important file or app information or end up messing up with the phone kernel and disturbing the ROM. Suffice it to say that phone bricking prevents your phone from taking commands from the user, which goes on to prevent normal functioning of the phone. The bricked phone can be annoying as there’s nothing left to do with it. Good tiding, the phone doesn’t necessarily have to die with your data. Not when there’s surefire software for fully recovering every single bit of the data you had stored therein. Dead phones don’t only result from rooting or flashing the ROM. Accidents too can kill your phone, leaving you with only one option – salvage your phone data. It’s therefore important to be on familiar terms with how to carry out data extraction from a dead Samsung phone. 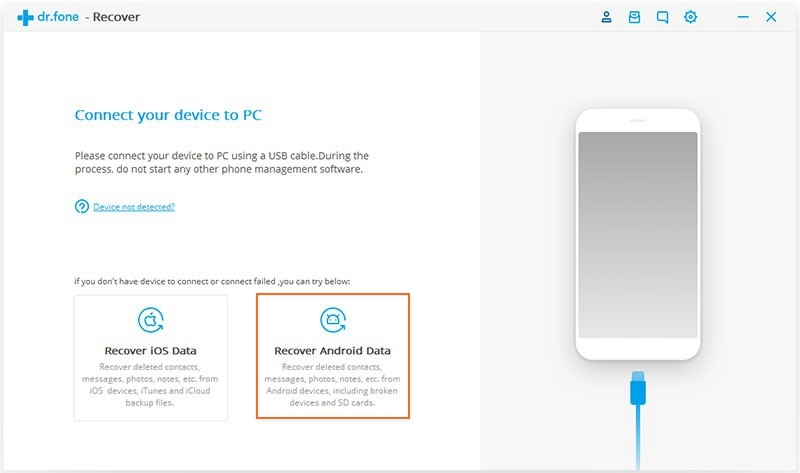 Extracting data from a dead Samsung phone can be as simple as ABC provided you have Android Data Extraction toolkit. 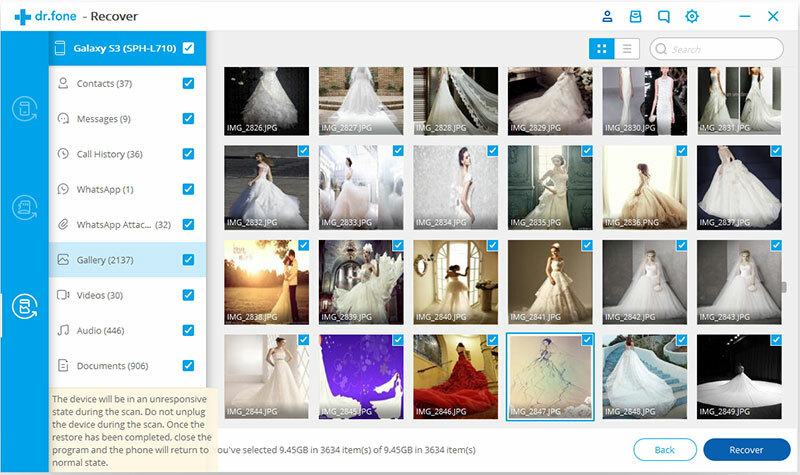 With this software, you can extract your contacts, messages, call history, attachments, Gallery, Video, Audio, and Documents. Step 1. Start by installing the toolkit on your PC, after which you can go ahead and select ‘Recover’ from the dashboard. Next, plug your phone into your PC and follow the rest of the procedure. At times the software may fail to detect your phone. If this happens, just click on ‘Recover Android data’ and the issue will be ironed out. Step 2. 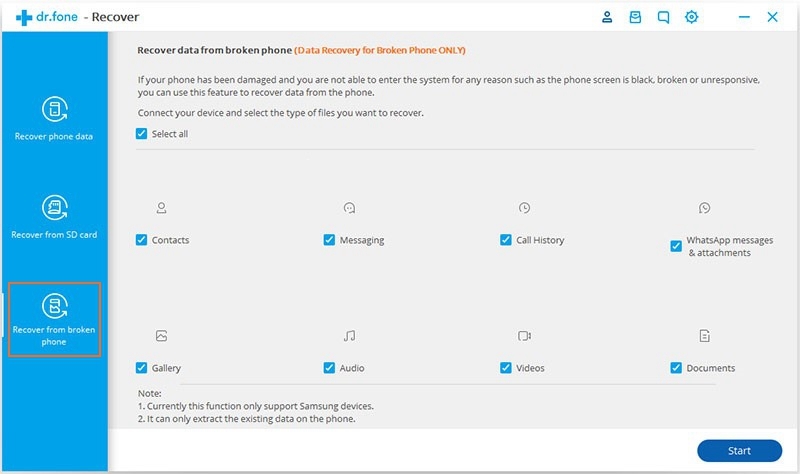 Choose “Recover from broken phone” from left window. Check all the boxes corresponding to the files you wish to recover. If you wish to retrieve all the files, just click on “NEXT” and the program will by default select all the files you had in your phone. Step 3. Next, choose “Touch Does NOT Work or I Cannot Access My Phone”, and click on enter. 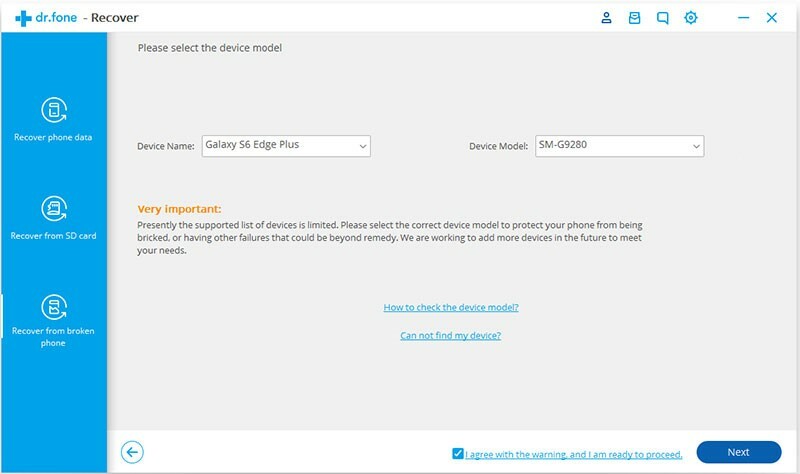 The next step will require that you pick your phone’s model from the list provided. Be sure NOT to pick a wrong one. Once your phone is selected, a small pop up will appear, prompting you for reconfirmation. All you’ll be doing is manually typing confirm, after which you’ll click on confirm and that’s it. Click on continue to move to the next step of the recovery procedure. Read this bearing in mind that the toolkit has been designed to only support Samsung Devices. – Switch off your phone by pressing the power button and holding it up for 10 seconds. – Now press the volume down, home button and power button all at the same time and hold until the phone gets into the Download Mode. – Now press the Volume Up button to confirm and ta-da! You phone is now in the download mode. Step 5. The program will scan your device for the files to be retrieved. They’ll all be displayed in categories. You can click on the ones you wish to save to directly save them to your PC.